86 p.: ill., music ; 30 cm. + 1 sound disc (CD). Dance with Nature - the chamber music of Ross Edwards by Philip Cooney, has been especially designed for secondary and tertiary level study. Activities have been prepared for seven short works by Edwards. 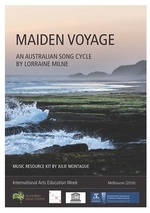 The kit contains easy-to-use question and activity sections, musical examples, classroom arrangements of music, an interview with the composer, and is accompanied by a CD from the performance at the Joan Sutherland Performing Arts Centre. Ross Edwards is one of Australia's best-known composers, both nationally and internationally. His music has found a welcome audience in Europe and the USA, as well as in Australian concert halls. The author of the kit, Philip Cooney, is a teacher with thirty years experience. His study of the music of Ross Edwards, described by Professor Anne Boyd as 'a valuable contribution to Australian musical scholarship', has identified the major developments in the composer's music in the last fifteen years. Cooney's earlier kit on Ross Edwards's orchestral music is also available through the AMC. 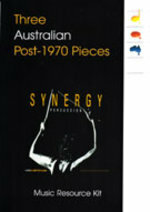 While score samples relating to the activities are included in the kit's booklet, complete scores for each work can be purchased separately from the Australian Music Centre. 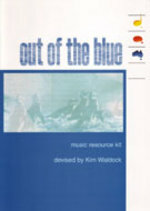 Contents note: Teacher's resource kit booklet (including score samples) -- CD of Edwards’s compositions, performed by Ensemble Offspring. Covers works Binyang, Marimba dances, More marimba dances, Ecstatic dance II, Water spirit song, Etymalong, Piano trio movt I, and 'Earth dance' from Nura. 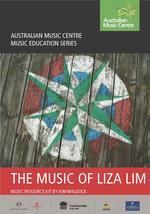 Includes transcript of interview with the composer, and musicology/aural tasks for senior secondary school students.